The title, Signs, Language and Behavior, suggests at once that Morris will place the study of signs within the framework of human behavior. 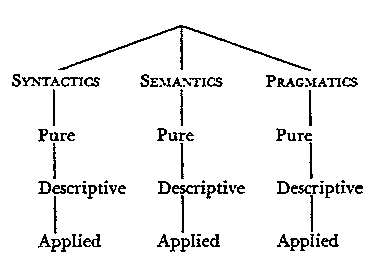 All the terms used by Morris to explicate his science of signs refer to stimulus-objects in the environment, to organic dispositions, and to actual responses of the human being. Since this is so, Morris indicates that the science of signs is statable in terms drawn from the biological and even the physical sciences. Thus the science of signs "becomes a part of the empirical science of behavior. "30 As such it can utilize whatever principles and predictions the general theory of behavior has attained or can attain. Morris's theory of signs should, on these grounds, be consistent with the body of knowledge1^0. m Signs, Language and Behavior, p. 19.